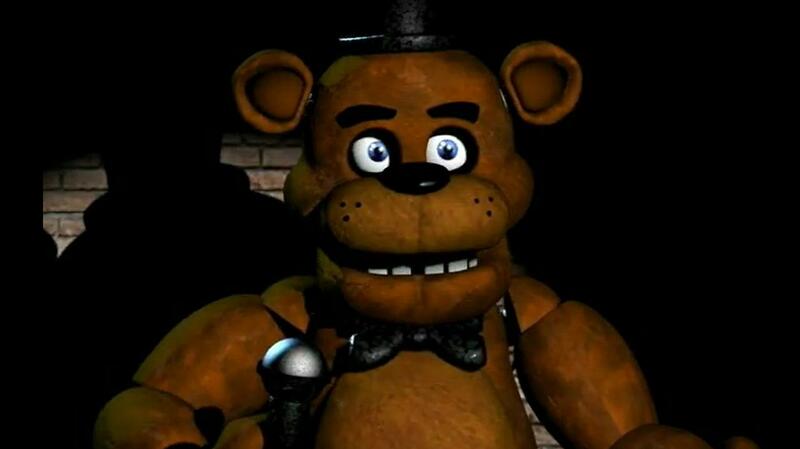 The following article covers in-depth plot points from the game, Five Nights at Freddy’s. In late 2014, Five Night’s at Freddy’s (FNAF) arrived on Steam. Few at the time could have predicted the impact the game would have on the horror genre, but within three years, it had spawned several sequels and a series of novels. Of course, it also had a massive impact on the Let’s Play community, and became one of the most played series on YouTube. What made it so popular, however? Was it simply the creepiness of the source material? To be sure, FNAF came packed with nightmare fuel that appealed to the fears many of us experienced as children. The game takes place in a pizzeria and features the player as a security guard. Tasked with surviving each night for five nights, the player must endure an onslaught of mechanized mascots who wander the halls with murderous intent. The base concept alone appeals to fears cultivated at a young age. Many players will have flashbacks to places like Chuck E. Cheese’s, which featured large, robotic mascots who talked and played music. These creatures were, to be frank, monstrous. Large speaking rodents with barely carpeted mechanical exoskeletons? It’s the fear of these things that makes so much of FNAF so terrifying. However, fear alone is not what catapulted the game into the public’s imagination. Instead, FNAF played with mystery as a way of engaging gamers long after the fear of being murdered faded. While the game hooked players with its creepy creations, environment, and jump scares, it endured in their minds because of how well developer Scot Cawthon utilized mystery as a narrative element. As stated, the general story portrays the player as a hapless security guard tasked with surviving over the next five nights. However, almost immediately, the game begins to introduce mysteries that left players talking for months to come. There was the immediate question: How are these mascots wandering around trying to kill anyone? From this one question, people began to hypothesize that the mascots were powered by everything from faulty artificial intelligence to the damned souls of dead children. Look upon my works, oh ye mighty, and despair. Yet other mysteries abounded. A recurring theme of the game is the nightly phone call you receive from the security guard who previously worked at the pizzeria. Over the course of each night, he shares more background on the pizzeria and becomes the closest thing to a friend the player has. Then, a few nights into the game – a final phone call, the sound of a door being banged on, and the telltale theme of Toreador March that plays when Freddy Fazbear makes a kill. Who was the last security guard? How did things go so wrong for him? While he was alive, the Phone Guy briefly alluded to something known as “The Bite of 87.” This was the first reference to a nearly lethal event in which one of the mascots attacked someone in the pizzeria. It was the first allusion to a larger world outside of the game itself. Importantly here, this was Scott Cawthon’s first attempt at world building. This one statement indicated a history to the pizzeria, but rather than remain a one-off statement, Cawthon built on that reference to create a larger history. Think about this when you sleep tonight. That last headline might seem odd, but it played into statements from the Phone Guy that the mascots stuffed their victims into empty mascot shells. These clues, taken together, indicated that these creations were killing children and then stuffing them into the empty suits, leading to a decaying smell and traces of blood and mucus. Importantly, Cawthon decided not to provide any definitive answers on these topics. Instead, he left it to his audience to make inferences as to what happened. Why is that important? People enjoy reaching a conclusion on their own, and tend to want to put together evidence supporting their position. This phenomenon is used all the time by media outlets, who present just enough evidence to support their position without making their position explicit. Instead, they let the reader reach the final conclusion. Chica is hungry . . . for your blood. In entertainment, this is used all the time as a means of suggesting, without making explicit, how a series of events might have occurred. The television show LOST constantly introduced new elements and hinted at the island’s nature, but left explicit explanations for the final season. Battlestar Galactica took a similar route and almost literally left its explicit explanations for the final episode. These shows, known for the fan theories that spawned around their stories, understood the value of a mystery. It’s the mystery that keeps the audience engaged and leaves fans talking with one another. As they argue and debate, it solidifies a fan base around the product. Cawthon provided enough information to produce several possible explanations, which left his fans talking often, and loudly, about what they thought happened in the pizzeria. FNAF elevated from a one-hit, creepy game into a franchise because it played into the strength of its mysteries. Once a mystery is solved, the energy driving the fan theories dies out. People stick around only long enough to have their bias confirmed. Much like LOST and Battlestar Galactica, FNAF will enjoy its fandom well into the future so long as it skillfully employs mystery and inference as a part of its core narrative. Five Night’s at Freddy’s is available on Windows, Android, iOS, and Windows Phone.